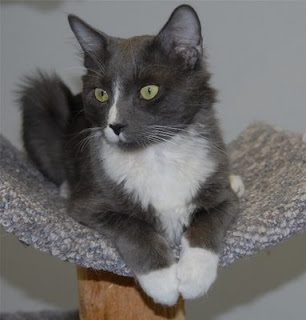 Medfield Animal Shelter News: Dominic Adopted! Adorable and playful Dominic went to his new home today! Boomer the Lab was adopted on Sunday. We are getting two new kitties to take Dominic's space in the cage-free cat room tomorrow, so be sure to look for them on Medfieldshelter.com.